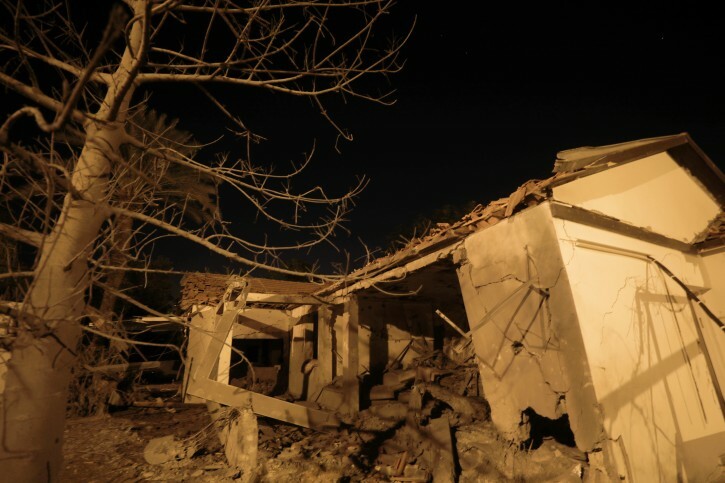 Ashkelon, Israel - A 40-year-old man was killed and a 40-year-old woman was critically injured on Monday night when a rocket fired from Gaza hit a residential building in Ashkelon. In addition, a 40-year-old man suffered moderate injuries and nine others were lightly injured. Magen David Adom paramedics evacuated the injured to the Barzilai Hospital. United Hatzalah volunteer EMT Moshe Weizman said: “When I arrived at the scene of the rocket attack together with other volunteers from United Hatzalah’s ambulance crew, we were asked to treat a man who had no pulse and was not breathing. Unfortunately, we were forced to pronounce his death at the scene due to the serious injuries that he had suffered. David Krispel whos serves as the Director of Operations for United Hatzalah added: “Searches are still being conducted to ascertain whether anyone else is trapped in the wreckage. Two lightly injured people were transported from the scene by our ambulance team and taken to Barzilai hospital. Sounds like the medics did a fine job. Most any death diminishes us. The man killed in Ashkelon was an illegal "Palestinian", according to Arutz Sheva. bombing empty buildings isn't going to stop their rockets, only eliminating all of the leaders will.